Encoding data in JSON is popular for sending data over the Internet, and also for storing data. I’ve created a simple Python script that demonstrates the process. The first part of the script encodes and decodes a Python Dictionary. 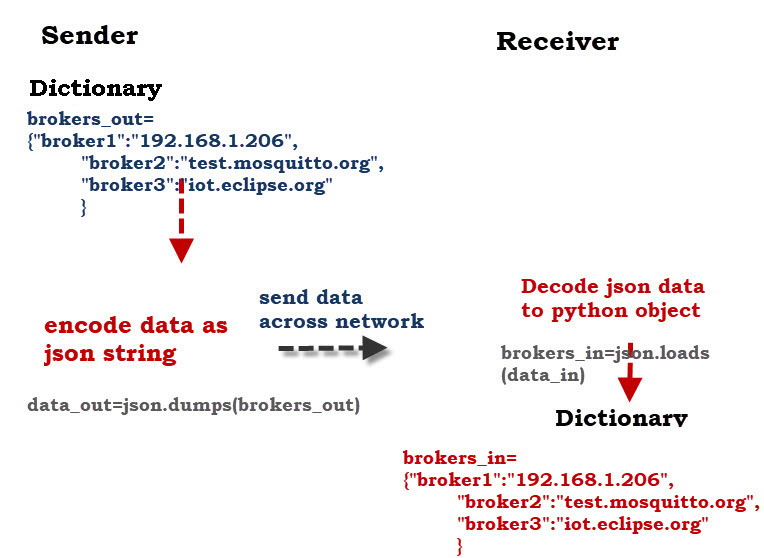 The second part of the script encodes a Python Dictionary Publishes the Data to the MQTT broker, then receives the data and decodes it back into a dictionary. Here is a screen shot of what it looks like when run. 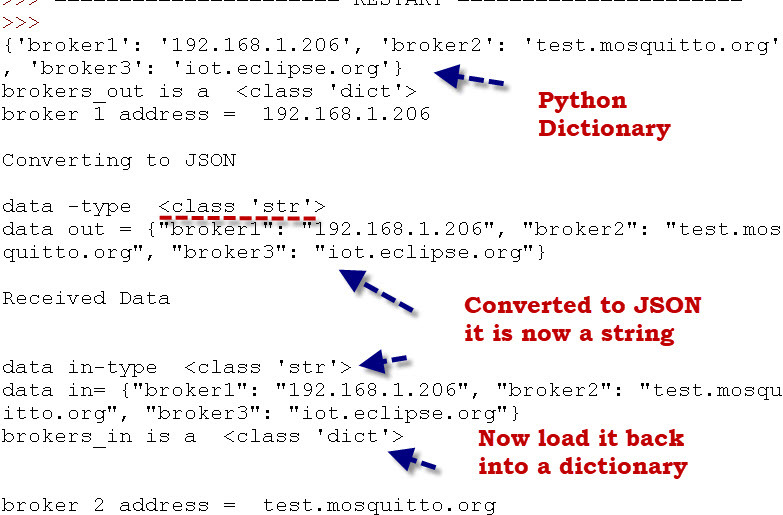 Notice the Python objects is converted to a string by the json.dumps() function. Now we run the second part of the script which publishes the JSON data and then receives the Data and decodes it back into a dictionary. Here is the on_message Callback which receives the messages and converts it to a dictionary. JSON is a very popular format for encoding data and sending it across networks and also for storing it. Python makes it easy to create JSON encoded data strings and to decode them.